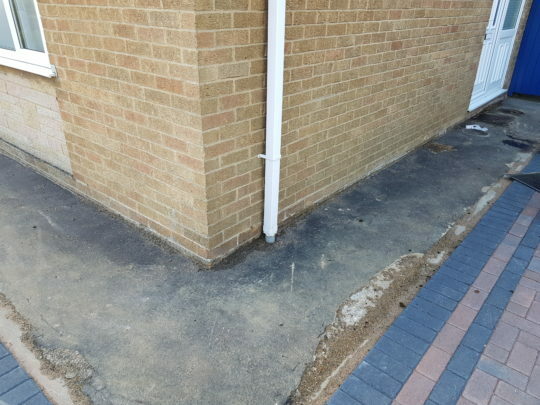 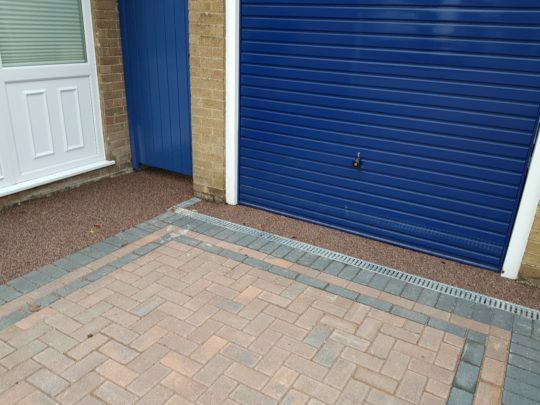 Our customer had a property that was built on a raft meaning a full block paving install to the property wasn’t possible and she would need to leave the existing concrete raft which acted as a pathway around the property but would leave the install looking unsightly after the block paving install. 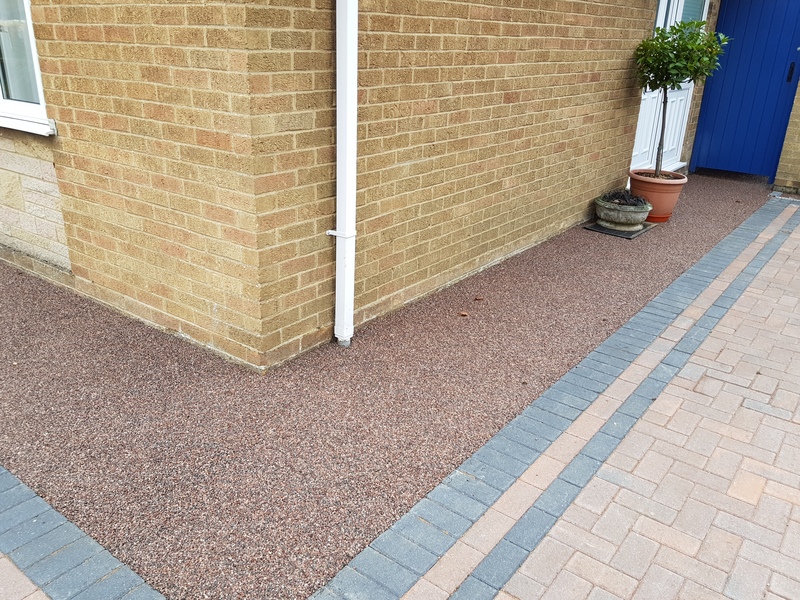 Once the block paving was installed leaving enough height above the existing concrete raft, we hand troweled Staffordshire Pink Resin at 15mm with UV resistant resin. 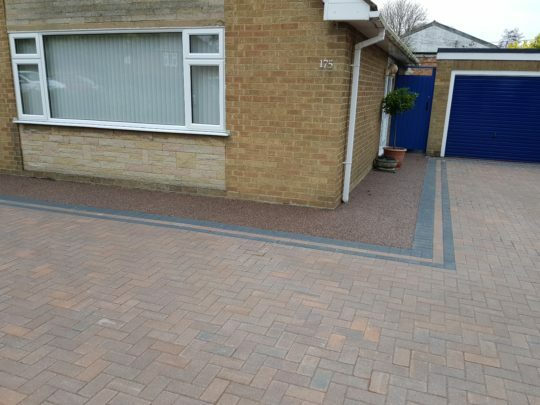 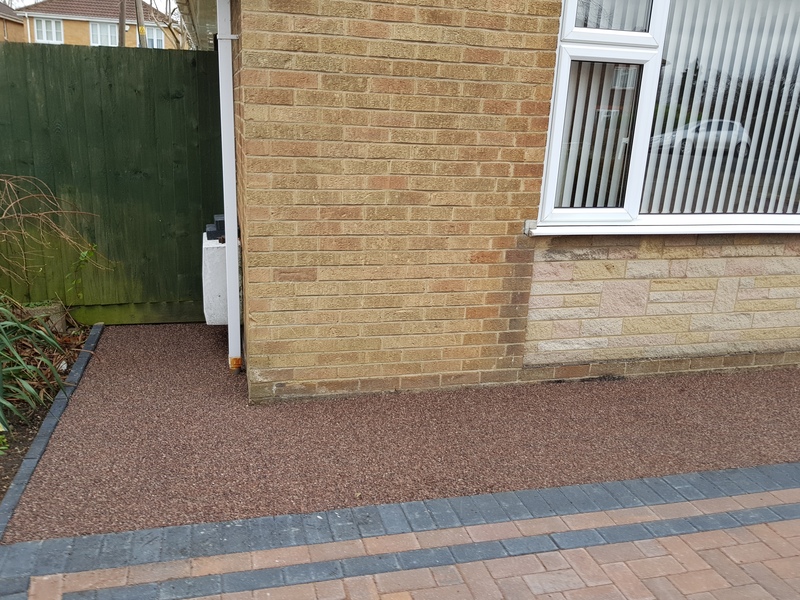 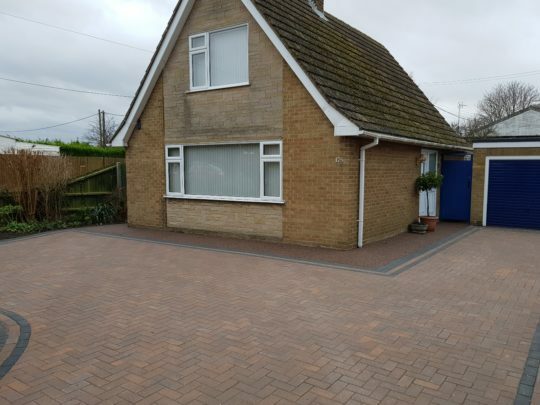 This complimented the block paving really well and actually improved the install as it broke the driveway up and made it look less car park like. The Resin will require next to no maintenance, will not fade and is fully permeable, so no puddles.